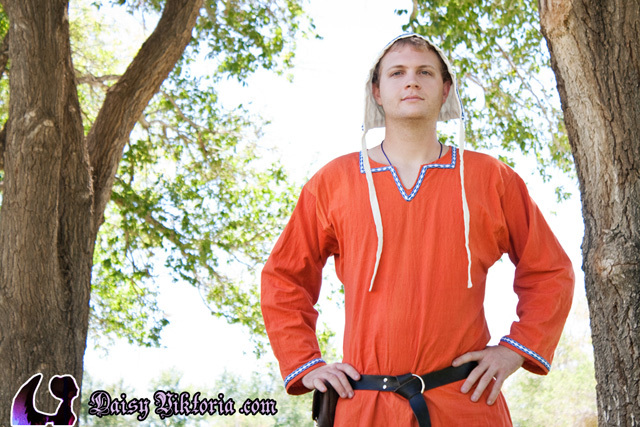 This outfit is based on 10th century Viking clothing. 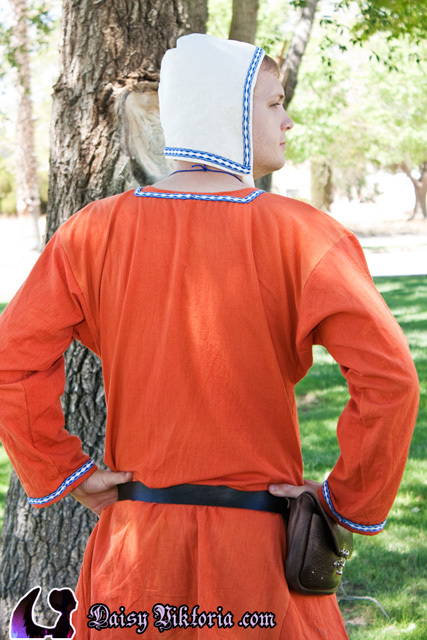 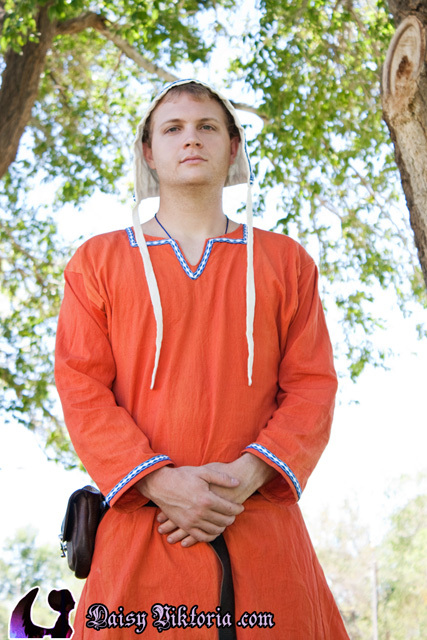 The tunic is orange linen, and the coif and pants are also linen. 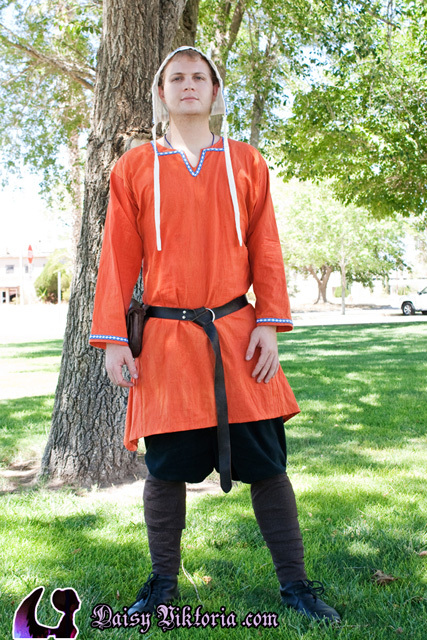 The leg wraps are wool. 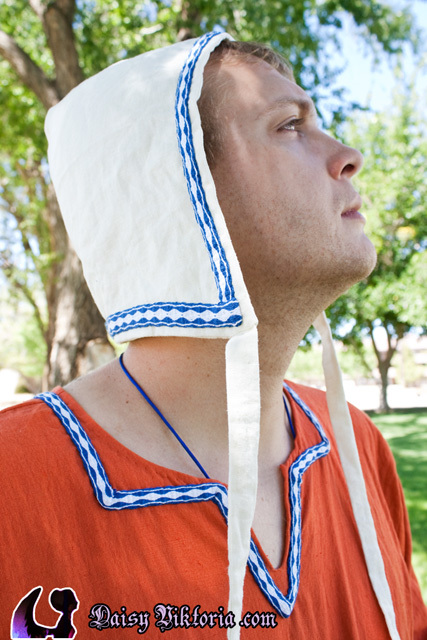 The trim was card woven by hand, also by me.